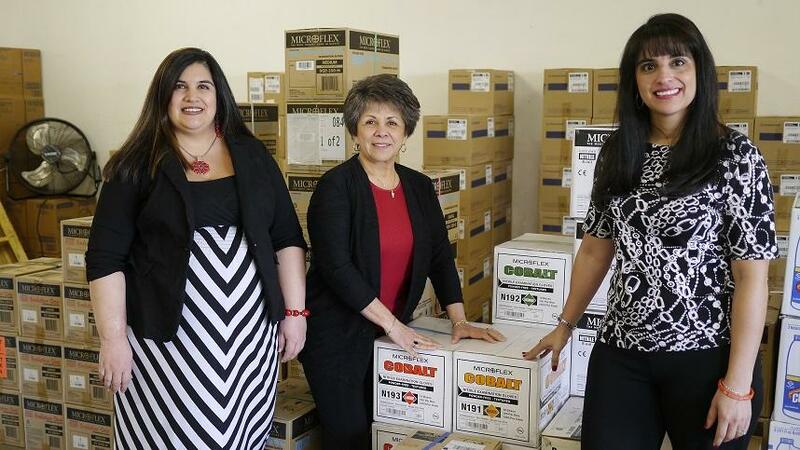 Yolanda Cuevas is CEO of Cuevas Distribution in Fort Worth, Texas. Yolanda Cuevas knew one day she’d work in an air-conditioned office. She went from picking cotton in the fields of San Marcos to owning a successful family-run business in Fort Worth. The company sells microcentrifuge tubes, gauze, and bio-hazard waste bags. It's done so well that Chase Bank gave it a $150,000 grant, and a trip to Google for a marketing seminar. It’s not obvious when people first meet her, but inevitably someone asks the 67-year-old executive about her hands. Or maybe it had something to do with working in cotton fields, just outside of San Marcos, as a kid. She was one of 13 children. Back then, Cuevas was a third of the size of the sack she carried, and daily, she says, she filled it with 100 pounds of cotton, often in 100 degree heat. It also felt good when she could give her little fingers a break, drinking at the barrel of community water with her parents, siblings, and other migrant workers. Each summer, they’d pack into a covered truck, drive to the cotton fields before the sun was up, and work until the sun went down. Each row, she says, felt like 100 miles long. As she got older, the trucks took the workers farther, to Lubbock, to Ohio. Every truck stop was a lesson for the daughter of Mexican immigrants. She got herself through college, eventually learned the ropes at a bank, and at the age of 46, she started a medical distribution business in Fort Worth. “Her dream was to, believe it or not, was to work in an air-conditioned office,” Pete Nardo says. He’s senior vice president of Chase Bank’s southern region. Yolanda Cuevas’ story is inspiring, says Nardo, and her business, a success story. 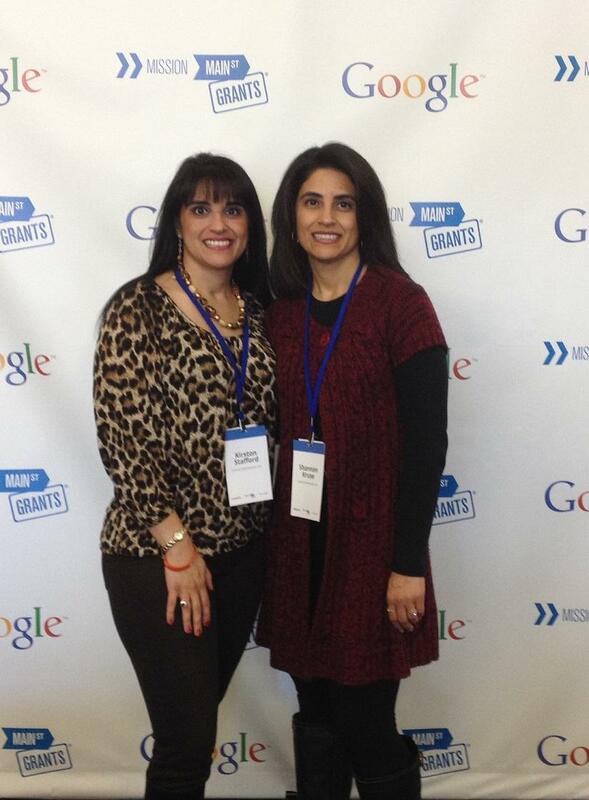 That’s why Cuevas Distribution won the grant from Chase. The 21-year-old company is a family affair. Kirsten Stafford works with her mother at the Fort Worth office. Before the grant, Cuevas Distribution had no Facebook page, no LinkedIn account, no Twitter handle. Yolanda Cuevas (center) runs a successful small business in Fort Worth with her daughters (Kimberly Chapple and Kirsten Stafford). She and her twin sister, Shannon Chavera-Kruse, just got back from Google headquarters in San Francisco, where they learned about social media. The older twin, who’s the VP of operations, is based in Austin. “We’re going to have to change the way we think, to a certain extent because we’ve been so used to a fax machine, and email, and now we’re going to be able to move away from that,” she says. Just back from Google headquarters in San Francisco, Shannon Chavera-Kruse and Kirsten Stafford are learning about social media to improve their business in North Texas. Chavera-Kruse is still faxing vendors, doing things old school. Like many small business owners in Tarrant County, Cuevas Distribution didn’t have money to hire an IT person or upgrade its software. “That has been one of our goals… more web presence and e-commerce,” she says. Back in the Fort Worth office, Yolanda Cuevas admits she’s not computer savvy. Her third daughter, Kimberly Chapple, is the office manager. Until then, as she did in those cotton fields years ago, Yolanda Cuevas says she’ll continue to give 100 percent to her company. You're invited to a special conversation with students and educators featured in the KERA News series American Graduate: Generation One. 'Generation One': Chinese Students Leave Mom And Dad Behind For School In The U.S.
A decade ago, about 600 Chinese students attended high school in the United States. Today, there are more than 38,000. For many, it’s their first time away from home and their first time in new country. Meet one teen who’s making the transition at a school in Garland. It's the focus of the latest installment in a KERA American Graduate series called Generation One.